When the U.S. Supreme Court rules next year on a religious refusal case that started in 2012 at a bakery in Lakewood, Colorado, its decision could have reverberations in Texas. The court announced Monday that it will take up Masterpiece Cakeshop v. Colorado Civil Rights Commission, agreeing to weigh in on whether a baker can legally refuse to make a wedding cake for a gay couple because of his religious objections to their union. At the heart of the case is the question of religious refusal, an issue that also dominated the Texas Legislature’s most recent session — most notably with House Bill 3859, a new law that allows welfare providers citing “sincerely held religious beliefs” to deny adoptions and other services to LGBT people. It’s not yet clear how the high court’s decision could impact LGBT rights in Texas, especially because the legal basis for religious refusal is entirely different in the two states. The Masterpiece Cakeshop case is rooted in a law in Colorado that prohibits discrimination on the grounds of race, gender, ancestry or religion, but Texas is one of five states that does not have such a law on the books. Still, the Supreme Court’s decision to take up the case after declining to hear a similar religious refusal case from New Mexico three years ago suggests to legal experts that it may be time for a national reckoning on the issue of religious refusals — major news for a state that this session raised, by some counts, 17 bills that would have allowed for discrimination on the grounds of religious freedom. Lawrence Sager, a constitutional theorist and the former dean of the University of Texas School of Law, said that while the court’s decision in Masterpiece Cakeshop will not have direct legal bearing on Texas’ HB 3859, it could have important implications for the future of religious refusals in the state. If the Colorado baker, Jack Phillips, wins at the high court, his victory would create “enormous momentum” behind religious refusal legislation, Sager said. If Phillips loses his appeal, the decision would not make all religious refusal laws unconstitutional, but it “would take some of the wind out of the sails of that effort,” Sager said. In either case, one of the most divisive issues of the Texas Legislature's 85th session will have been catapulted to national prominence. For at least some LGBT advocates, the Supreme Court’s decision to hear the case has caused concern. Lambda Legal Senior Counsel Jennifer Pizer, who authored the organization’s friend-of-the-court brief in the original Colorado case and also worked against Texas’ HB 3859, said that in recent years, the Supreme Court has refused to hear appeals of several state cases which ruled in favor of anti-discrimination statutes over religious refusal laws. The court’s taking up the issue now suggests at least the possibility that it would alter federal constitutional standards. And changing those federal standards could cut “big religious holes” in local protections for LGBT people, Pizer said. 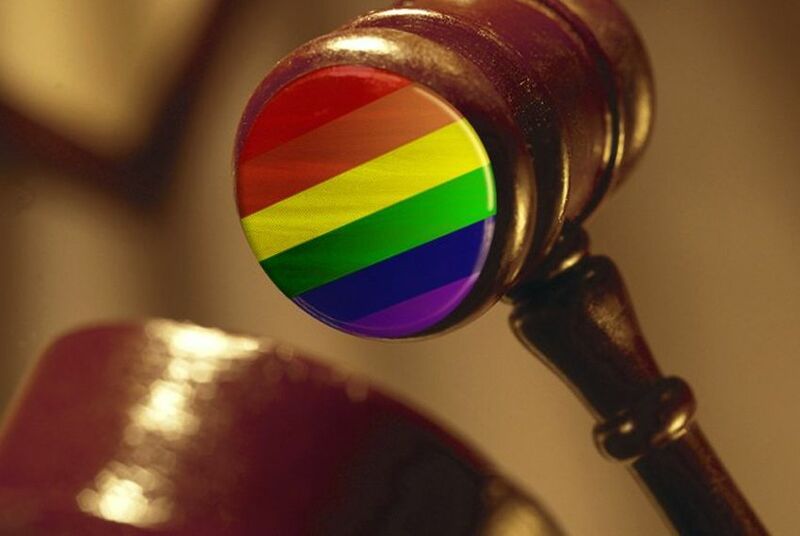 Another case to watch is Mississippi's House Bill 1523, a religious refusal law that permits businesses and government employees to deny services to LGBT individuals, which the Human Rights Campaign has dubbed "the worst anti-LGBTQ state law" in the country. The U.S. 5th Circuit Court of Appeals last week lifted an injunction blocking the law, which allows the adoption religious refusal alongside several others, from taking effect. But experts said the law will almost certainly be challenged again once it is implemented, and that litigation will likely set a more direct precedent for any challenge to Texas's HB 3859.